Mei (Eyebrow) style tea, named after the dried leaves shape, is traditionally the most popular everyday tea in China. Mei (Eyebrow) style tea, named after the dried leaves shape, is traditionally the most popular everyday tea in China. Our certified organic tea grows on Tai mountain near a local Buddhist temple. The local monks drink this tea daily for its robust taste and fresh aroma. Green tea, being the most common style of tea in China, comes in many forms and many flavors. Despite its reputation of being a lighter beverage than other styles, green tea has every potential to have complex and strong flavors. Fo Mei is one such example. Fo Mei is a certified organic tea. Sawdust from local mills are used to naturally control weeds for up to two years, while compost is made from pig manure, grass and straw. Fo Mei owes its richness to three main reasons: It’s leaf configuration, its cultivar, and its careful processing. Only full leaves, and no buds, are included in this tea. While mature leaves lack the delicate sweetness of buds, good leaves offer malt, fragrant wood, and roasted nut aromas that infuse quickly into the cup. 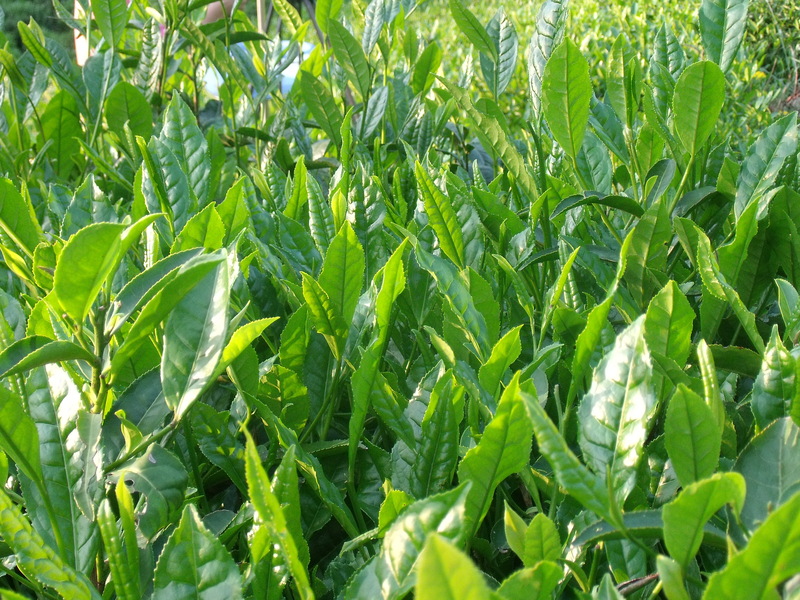 Additionally, Jiu Keng, the tea bush variety used to make Buddha’s Eyebrow, is known for its intense mineral flavors. Finally, stems in the rolled tea are removed by careful sorting to preserve the purity of this tea’s deeper flavors. Fo Mei is an affordable, everyday grade of green tea that is very popular at our tea house. Try brewing it in the summer for a delicious iced tea, or enjoy it hot. High Mountain foggy tea garden. Sawdust from local mills are used to naturally control weeds, can help for up to 2 years. Compost is used made from pig manure, grass and straw. Fo mei's hand sorting removes stems and large broken leaves. Infusion: First infusion at least 1 minute. The leaves are good for 5 infusions.